Writing in the South African newspaper Business Day, Thami Mazwai, says that Africans must back up their demands for the West to drop their sanctions against Zimbabwe by detailing what action SADC and the African Union will do if sanctions are not dropped. Mazwai compares the West’s refusal to accept the results to Hamas’ win in Palestine and says that African leaders should unify in the same way they have ‘stood their ground’ on the matter of Omar al-Bashir’s arrest warrant from the ICC. 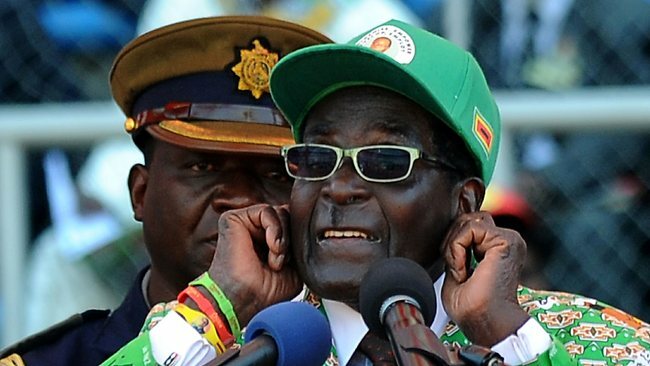 @im_blest Defending Mugabe is not an ideological position. It’s willful blindness to the despotism, violence & self-enrichment of his rule. Fortunately, this view isn’t shared by others at Business Day (above), but it does continue a pan-African narrative that dates to the liberation era which has been co-opted into a pro-dictator narrative in recents times. It builds upon the idea that Africans must unite as a whole in order to fulfill their liberation mission of removing the hold that slavery and colonialism has on the economy and society of the continent. This was an effective communicative technique in the 20th century – Africa was the underdog both before and after colonialism. The need to rally as a cohesive and stronger whole, thus forming a larger bloc of actors at the UN, as part of the Non-Aligned Movement. It also worked in defeating Apartheid South Africa. But the issues that faced newly liberated African states in the middle of the 20th Century were much simpler than today – climate change, free trade, political development, technological innovation, and health crises don’t have moral imperatives likes slavery and colonialism. These issues are not black and white (the ones that are, such as freedom of expression challenge the domestic govt’s power so those are left to the side). Mazwai doesn’t recognize this fact in his call to back Mugabe. Africa is not a homogenous nation – while their are theoretical linkages in the societies between similar colonial experiences, a black South African is just as likely to have more in common with a someone from Britain than from Senegal. Thus, calling for a unified bloc is hard enough but to back a tyrannical leader against punititive sanctions surely would only damage the reputation of African organizations and states further. We must not forget that repercussions still exist from Dictators’ Club of the old OAU and its refusal to condemn human rights abuses. However, the narrative in calling for unity behind a fellow African leader resonates for some. This only makes issues worse for Africans on the global stage because of the idea that African states will stand behind each other no matter their transgressions. This damages the moral standing and rhetorical arguments made by African leaders on other issues. If other countries view the African bloc as a unified group that will never condemn one another, Africa’s ability to negotiate and stand firm will be damaged. Similarities abound to how white colonists or slave owners stood together to prevent the end of the system that benefited them. This is not to say Sub-Sahara Africa countries should not work together – they should. But the issues upon which to form a continental bloc are specific – not the default stance taken by African leaders. To do so would not strengthen Africa’s power in the world, it could set it back even further. Today’s appearance of Kofi Annan at UCLA was a chance to go and hear from one of the drivers of IR norms and reforms at the beginning of the last decade. It continues UCLA’s (short) tradition of having luminaries attend the Luskin Lecture for Thought Leadership following in the footsteps of Bill Clinton who kicked it off last year. 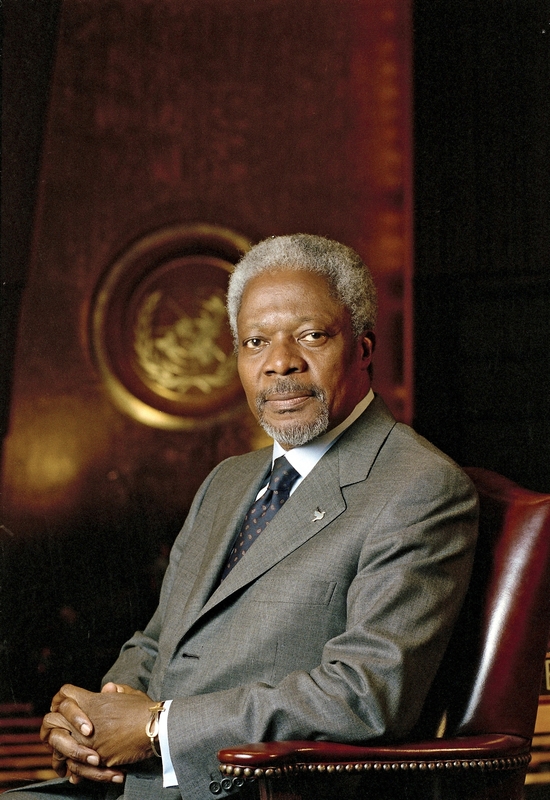 Kofi Annan of course championed the IR norm of responsibility to protect (R2P) that he first brought to the UN Security Council in the late 1990s and eventually became codified in 2005. He anticipated the question from the audience about R2P and Syria and headed it off by saying that Syria is much more complicated and there is no international consensus on the path forward. It makes one question the salience of the R2P norm if disagreement among the Permanent 5 on the Security Council can hinder its application. The conflicts that were the impetus for R2P in Rwanda and the former Yugoslav states didn’t have universal international agreement on the way forward, only in retrospect. In Rwanda, France wanted to hold off intervention so their allies could escape to the east. In the Balkans, Russia’s historical ties to the Serbs caused their hesitation. My latest project originally sought to understand African diplomacy from a true realist IR perspective. Of course that’s ironic, because IR realists rarely acknowledge the pull or influence that diplomacy (or Africa) has on the IR field. My goal was to understand if there could be any benefit to African nations by pooling their diplomatic representation through a body such as the African Union, rather than conducting their own individual missions abroad. Why staff a small embassy with inexperienced diplomats when a nation could leverage the power of the entire continent and have the best and brightest African diplomats representing their collective needs? Again this runs a tad contrary to realist thinking who usually dismiss the supranational organizations of the world of holding any real power. However, I’m of the believe that in the future these bodies will be the real power holders in IR theory and practice. Of course, this idea of a African foreign service would sound very similar to the European External Action Service that has come into being with the signing of the Lisbon Treaty in the European Union. There are now two tiers of European diplomacy: national diplomats from individual countries & EU diplomats representing the organs of the supranational body. 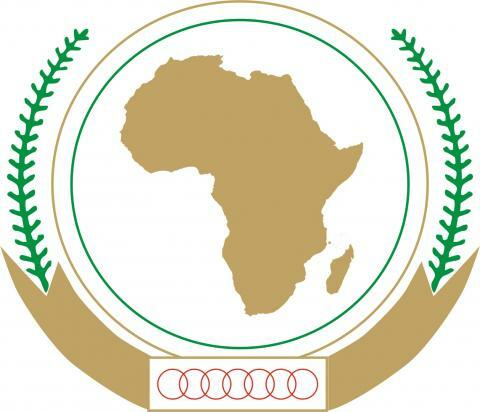 The African Union, while modeled on the EU in some circumstances (though it was mostly a recasting of the Organization of African Unity while combining the economic capabilites of the African Economic Community and taking its mandate and supplanting it with NEPAD), the AU has yet to develop a pan-African diplomatic service. Thus I was very curious if there would be a way to argue for and against such a diplomatic organ of the AU. As it turned out, predictably, there is very little research into this idea, and while I had thought to expand my comparison to ASEAN, most papers focused on the integrationist desires, not the benefits of a collaborative foreign service, that diplomats or the diplomatic corps in supranational capitals (Brussels, Addis Ababa, and Jakarta). Thus I turned to the wide ranging literature on regional integration for my project to see how the move towards integration on the continent compares to the EU and ASEAN and what impact that would have on the respective diplomatic powers.